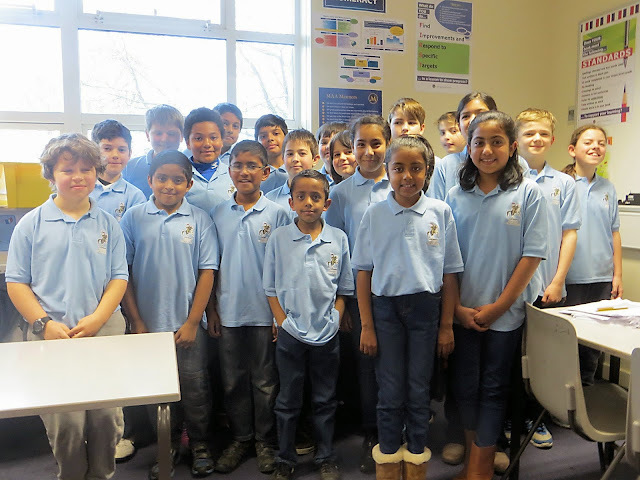 The 20-board Suffolk Under 11 team travelled to Northampton on Saturday, to take part in the English Primary Schools' Chess Association (EPSCA) Midlands/East Zone Final. The competition was fierce, with three London teams (Barnet, Richmond and Newham), as well as Kent, Essex, Hertfordshire, Leicestershire, Northamptonshire and Cambridgeshire. Half the team (ten players) came from the Bury Knights Junior Chess Club, whilst Woodbridge School supplied a further five. We 'borrowed' four players from Norfolk (allowed under the rules as a neighbouring county), whilst the last player was Vicky Allen's protégé from the Meadows Montessori School in Ipswich. Top Suffolk scorers were Anita Somton (2 points; unbeaten) on top board; Adam John (2 points, Board 4); Jaden Jermy (2 points; Board 11); and Tom Roy (1½ points; Board 8). All four are from the Bury Knights. The team finished in seventh place, ahead of Cambridgeshire, Leicestershire and Newham. Only the top six qualify for the National Finals, so similar to last year, Suffolk just miss out.